David Wolff, the owner of a wholesale business in wallpaper on the 1st Hoofdstraat, made a lot of business trips. On one of his trips he came to the German town of Neustadt-Gödens, where he met his future wife, Binchen Weinberg. Binchen was the daughter of Solomon Weinberg and Sophie Büchler. 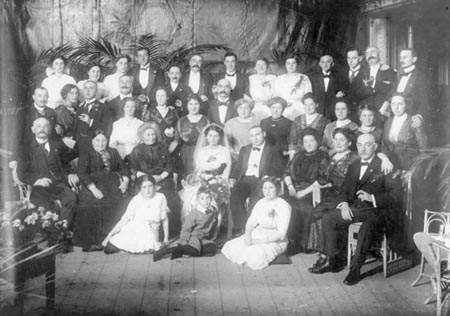 They married in Neustadt-Gödens in 1880, and came to live on the premises of David’s business, which was quite common in those days. 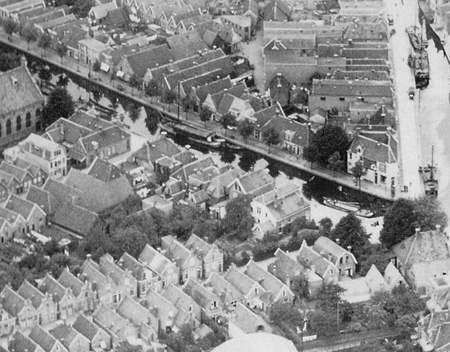 A few years later, about 1910, Binchen’s sister Amelia, born in Neustadt- Gödens in 1863 came to live in Meppel. Amelia never married and the last years of her life she lived on her own in a one-room flat on the Heerengracht. living in Meppel during the war. She was killed by the Germans. Little is known about her life in Meppel. For example, what did she do for a living? What is known is that in the years before the war, an employee of the Wolff family would bring her her dinner in a mess tin every day. Amalia was then living in a room above the green grocery on the 1st Hoofdstraat. Without any doubt the meals stopped, when David died in 1930 and his wife moved to Utrecht. Amalia stayed in Meppel and on the night of 2 to 3 October she was taken out of her house. Amalia died in Auschwitz on 2 November 1942.